Little Cawthorpe Cemetery is on Top Road. The civil parish was in the Louth sub-district of the Louth Registration District. You can also perform a more selective search for churches in the Little Cawthorpe area or see them printed on a map. The church was rebuilt in 1861 of brick and stone. It is a small church, seating only 60. 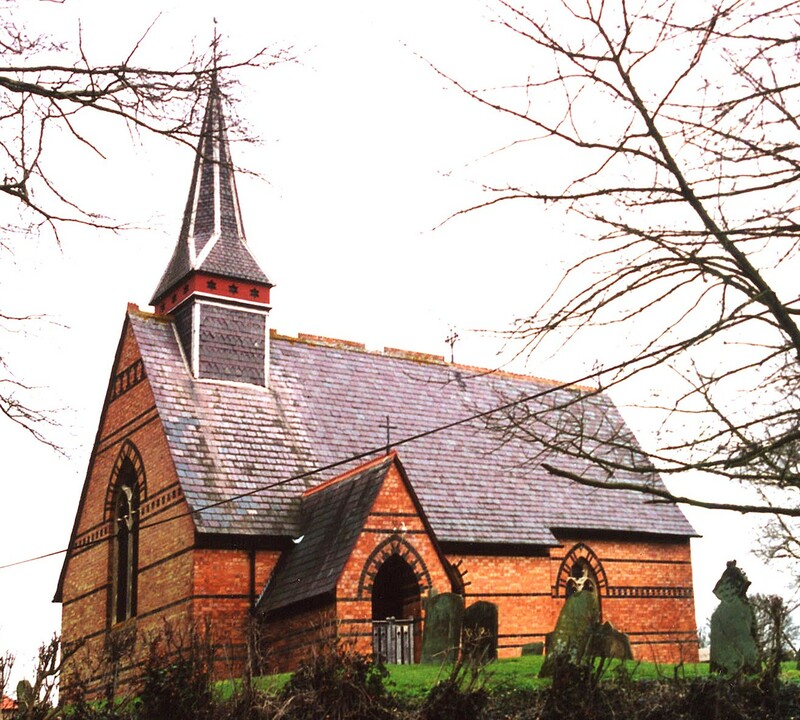 The church was declared redundant in April, 1996, by the Diocese of Lincoln. The Anglican parish register dates from 1679. We have the very beginning of a Parish Register Extract in a text file. It could benefit from your additions and any corrections. The National Burial Index lists 267 burials in Little Cawthorpe between 1813 and 1900. A Wesleyan Methodist chapel was built here in 1848. The Free Methodists built a chapel here in 1872. For information and assistance in researching these chapels, see our non-conformist religions page. The parish was in the Louth sub-district of the Louth Registration District. This village and parish are just 3 miles south-east of Louth, on the eastern side of the Wolds. Legbourne parish sits to the north-east and Haugham parish to the south-west. The parish covers about 460 acres and contains several natural springs. By automobile, take the A157 trunk road south-east out of Louth for about two miles. The village is just south of the roadway. Ask for a calculation of the distance from Little Cawthorpe to another place. You can see the administrative areas in which Little Cawthorpe has been placed at times in the past. Select one to see a link to a map of that particular area. The Manor House was once the seat of the MOTTRAM family. It was erected in 1673. John READMAN has a photograph of the War Memorial on the Geo-graph site, taken in May, 2003. Cawthorpe was formerly called Calthorpe or Calkthorpe. The parish was in the ancient Calceworth Wapentake in the East Lindsey district in the parts of Lindsey. Some directories of the 1900s place the parish was in the ancient Louthesk Hundred. The parish had the interest from £10, on deposit in a Louth savings bank, for distribution to the poor. Bastardy cases would be heard in the Louth petty session hearings every other Wednesday. The children of this parish attended school in Legbourne parish.